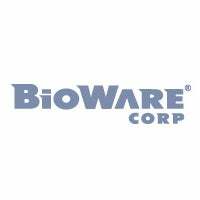 Canadian developers BioWare are best known for its console and pc role playing games like Mass Effect and Knights of the Old Republic. Big rpgs that run on big hardware. BioWare boss Ray Muzyka, "We'd be intrigued by the idea of developing on Wii but we have nothing to announce right now. We do have some unannounced projects that we're not ready to talk about yet, and they are different from some things we've done in the past." Oh? "If we did a Wii game," he continues, "I think we'd approach it with the target audience in mind first and the vision of delivering an emotionally powerful narrative and go back to our basics in terms of some of the pillars of gameplay we'd like to bring to bear — exploration, progression, customization, conflict, story, narrative, and characters. How do we adapt that to the platform? That's how we'd approach it." Muzyka goes onto talk about how interesting the Wii platform is, etc. Granted, Muzyka is speaking hypothetically here (apparently!) and not confirming a BioWare Wii game. If, if BioWare did a Wii game, it wouldn't be the first venture onto a Nintendo platform for the company. BioWare previously developed DS title Sonic Chronicles: The Dark Brotherhood for SEGA.